This simple task chair has a modern look with convenient function. 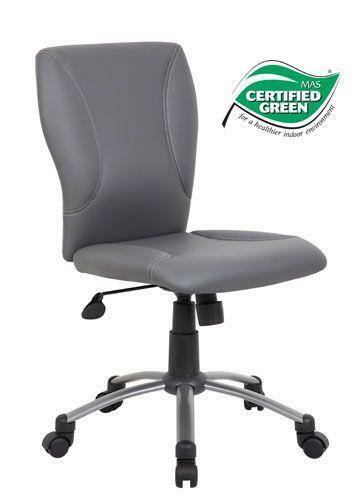 The chair features a chrome base that offers pneumatic gas lift seat height adjustment, as well as adjustable tilt tension control. The grey upholstery keeps the look versatile and the seat comfortable. The Tiffany Task Chair with Chrome Base by Presidential Seating at HomeWorld Furniture in the Hawaii, Oahu, Hilo, Kona, Maui area. Product availability may vary. Contact us for the most current availability on this product. Browse other items in the Tiffany collection from HomeWorld Furniture in the Hawaii, Oahu, Hilo, Kona, Maui area.